The dry tuber of perennial herbaceous plant Corydalis yanhusuo W. T. Wang of family Papaveraceae. Zhejiang, Jiangsu and Hubei provinces in China. Collected in the beginning of summer when stem and leaves wither. Big, full, firm with yellow cross section. Smashed, sliced thick, unprocessed or processed with vinegar. Pungent, bitter, warm; liver, spleen, heart meridians entered. Activate blood, promote flow of qi, alleviate pain. This herb unblocks blood vessels, dissolves blood stasis and alleviates pain as a miraculous herb of activating blood, moving qi and relieving pain. It is indicated for all kinds of pain through combinations, especially good at various pain of internal Zang. For intolerable stomachache, it is used as powder singly and taken with wine. For stomachache of cold pattern, it is combined with interior-warming analgesics such as Gui Zhi, Hua Jiao and Gao Liang Jiang, etc. For stomachache due to qi stagnation, it is combined with qi-moving analgesics such as Xiang Fu, Mu Xiang and Sha Ren, etc. For stomachache due to blood stasis, it is combined with blood-activating analgesics such as Dan Shen and Wu Ling Zhi. 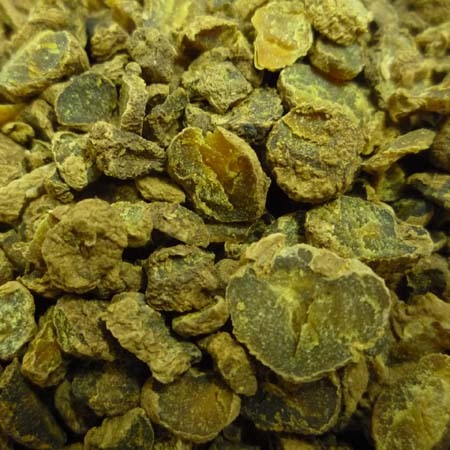 For stomachache due to middle deficiency, it is combined with Dang Shen, Bai Zhu and Bai Shao, etc. For chest and hypochondria pain due to liver depression and qi stagnation, it is usually combined with Chai Hu and Yu Jin to enhance the action of soothing liver and alleviating pain. For gastric pain radiating to bilateral hypochondria due to transformation of depressed liver qi into heat, it is combined with liver-soothing and heat-purging herbs and qi-moving analgesics. For instance it is combined with Chuan Lian Zi in Jin Ling Zi San from Su Wen Bing Ji Qi Yi Bao Ming Ji. For abdominal pain due to hernia of cold pattern, it is combined with liver-soothing and qi-moving herbs and cold-dispelling analgesics such as Xiao Hui Xiang and Wu Zhu Yu, etc. For dysmenorrhea, irregular menstruation and postpartum stagnant abdominal pain resulted from qi stagnation and blood stasis, it is combined with blood-activating and nourishing herbs, and menstruation-regulating analgesics such as Dang Gui, Hong Hua and Xiang Fu, etc. For traumatic injuries, and swollen and pain due to stasis, it is usually combined with stasis-dissolving analgesics such as Ru Xiang and Mo Yao, etc. 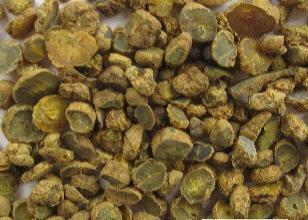 For wind-damp arthralgia, it is combined with wind-damp-dispelling herbs such as Qin Jiao and Wei Ling Xian, etc. Decoct 3~10 g. Make powder and take 1~3 g. Processed with vinegar can enhance the action of alleviating pain.